2. Favorite Hillel activity/memory: The Hillel Freshman Retreat completely transformed my experience at Cal. I met so many Jewish students, many of whom I now call my best friends, and I began to truly feel a part of the Hillel community. 4. Why are you on the student board? As soon as I became a Cal student, Hillel quickly became a home for me. My passion and love for Berkeley Hillel naturally made me apply to the student board. I am excited to help Hillel continue to grow and thrive for all Jewish students. 5. What else are you involved in on campus? 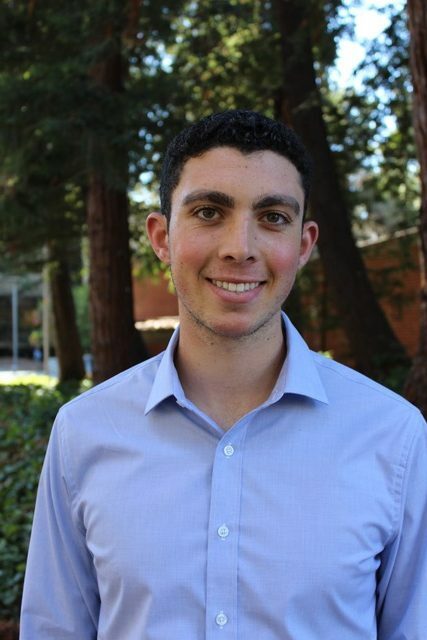 I am a member of Alpha Epsilon Pi Fraternity, the External Outreach Director for Bears for Israel, and an intern for the ASUC helping make academic resources more accessible to students.